Honoured once again to perform for Barbados Foundation Canada as they present Bring On The Spring. 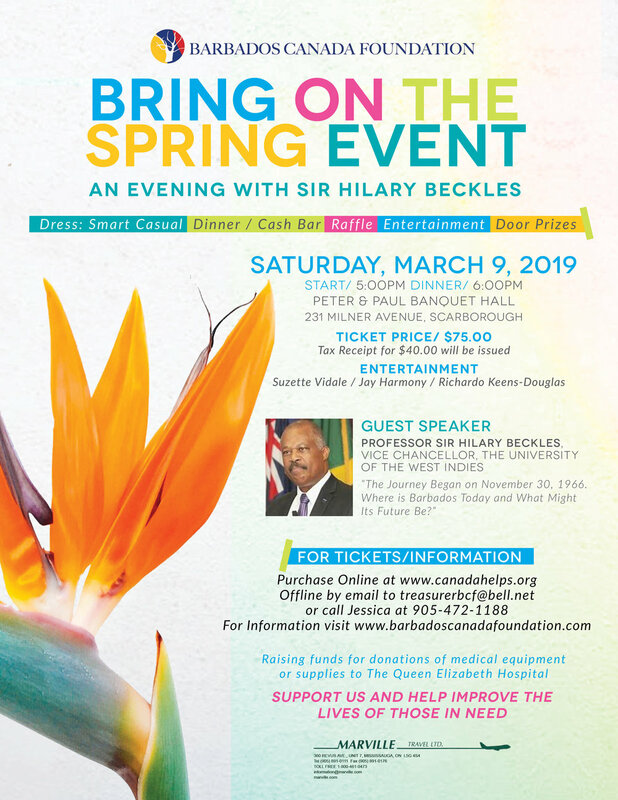 I am looking forward to listening to the speech that will be presented by Professor Sir Hilary Beckles, Vice Chancellor of the University of the West Indies. Performances also by the phenomenal Jay Harmony and storyteller Richardo Keens-Douglas.